Although computers are ubiquitous today, archiving documents in paper form and filing them to keep them in order is still a task and a responsibility for every business, institution and organisation. 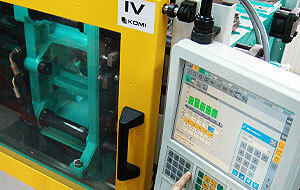 We have many years of experience in the production of archive fasteners. In response to the needs and expectations of our customers, we offer innovative and effective solutions known and appreciated by customers and users both in Poland and around the world. We offer a full range of archive fasteners, starting from the CATCH model, which is the most popular fastener on the market, through the traditional SNAP and HOOD models, to the innovative CATCH ZP solution. With the use of appropriate materials and based on our considerable manufacturing experience, we have successfully developed a range of high-quality products that can easily compete with popular brands on today’s market. 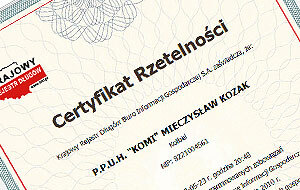 Our archive fasteners are legally protected as utility models registered by the Patent Office of the Republic of Poland. We are working to offer a new archive fastener model in the near future. In all we do, we make every effort to ensure that the quality of our products and our business relations with customers and suppliers always meet the highest standards. We guarantee timely deliveries and attractive prices. In response to customers’ needs, we regularly introduce new products on the market. 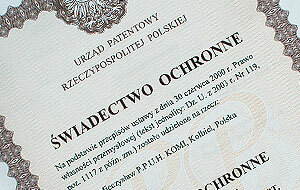 Three of our archive fastener models are protected by law as utility models registered by the Patent Office of the Republic of Poland. In 2005, we launched a CATCH model. Later, in 2008, the HOOD model was introduced for easy transfer of documents from ring binders onto archive fasteners. A new product in our range, available since 2012, is an archive fastener designed to seal the documents fastened with it. Quality is our priority from the stage of selecting suppliers. Carefully selected raw materials, combined with our knowledge and experience, are the key to developing quality products. In setting the highest quality standards of our product, we have implemented an internal quality control and analysis system. Komi is a credible and reliable business. Following the principles of business ethics, we have become a reliable partner for many companies and institutions. This is best proved by our participation in the Reliable Business programme under the patronage of the National Debt Register.